The following item up for sale is NIB, never been displayed or open. Item comes from a smoke free facility Item up for sale is exact item listed in the pictures. Please contact for any further questions. PayPal only! Buyer has 14 days to return product. Please check out our other cool items up for sale. Thank You! 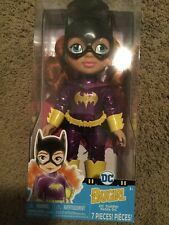 DC Toddler Petite Batgirl Catwoman Figure 15” Toy Doll New in Box. Condition is New. Shipped with USPS Priority Mail. 1/6 Batman Arkham Knight Head Carved Bruce Wayne male Heads Model Game Ver. MAF049 Batman Batman Begins Suit Action. SHF DC Suicide Squad. Banpresto Dragon ball Fate Naruto One Piece. BATMAN 1966 DC COMICS. Banpresto Dragon ball Fate Naruto One Piece. United States Rate of arrival 9% 83% 6% 1%. United Kingdom Rate of arrival 7% 80% 8% 5%. Australia,Canada,Germany， Russia Rate of arrival 4% 78% 10% 8%. Quantity: 1PCS. condition: 100% new in box. all you need to do is sending us the clear pictures to show it is broken. GREAT GIFTS FOR BATMAN FANS! Color: As picture show. IF YOU NEED IT AS NEW/GIFTS. Material: PVC. We will work with you to resolve any problems that may arise. We will work with you to until you are satisfied. Material: PVC. United Kingdom Rate of arrival 7% 80% 8% 5%. Quantity: 1PCS. condition: 100% new in box. United States Rate of arrival 9% 83% 6% 1%. Australia,Canada,Germany， Russia Rate of arrival 4% 78% 10% 8%. Material: PVC, Vinyl. Note: it is a pre-order item and will be released in September, 2019. Australia,Canada,Germany， Russia Rate of arrival 4% 78% 10% 8%. United Kingdom Rate of arrival 7% 80% 8% 5%. Quantity: 1PCS. condition: 100% new in box. all you need to do is sending us the clear pictures to show it is broken. 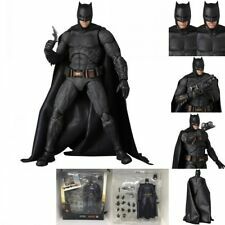 Justice League MAFEX No.064 Batman Tactical Suit Ver. Size: 16cm Tall. Color: As picture show. Material: PVC. Soldier Type: Trend Soldier. Soldiers' Parts: Soldier's Head Sculpture. Soldier accessories: Soldiers. Scale: 1/6. Custom made 1/6 Scale Head Sculpt For Hot Toys Body. Item Included: 1 pcs Head Sculpt. Weigh:approx 100g/pcs. List: Head sculpt 1. Scale: 1/6. PVC Head Model. United States Rate of arrival 9% 83% 6% 1%. United Kingdom Rate of arrival 7% 80% 8% 5%. Australia,Canada,Germany， Russia Rate of arrival 4% 78% 10% 8%. (weekend and holidy not included). Quantity: 1PCS. Material: PVC. Note: it is a pre-sale item and will release in July, 2019. Condition: 100% New. Hong Kong . Mafex No. 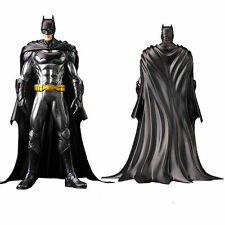 064 Justice League Batman Tactical Suit Ver. United States Rate of arrival 9% 83% 6% 1%. United Kingdom Rate of arrival 7% 80% 8% 5%. Australia,Canada,Germany， Russia Rate of arrival 4% 78% 10% 8%. Head Sculpt 1. Scale: 1/6. Color:as picture. Quantity: 1PCS. condition: 100% new in box. Including：1X 1/6 Scale head as picture show. Property:This product is a toy. 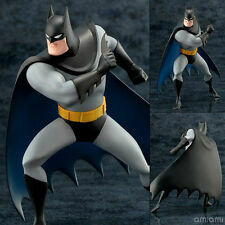 Kotobukiya ARTFX Justice League Batman NEW52 Ver. Australia,Canada,Germany， Russia Rate of arrival 4% 78% 10% 8%. United Kingdom Rate of arrival 7% 80% 8% 5%. Quantity: 1PCS. condition: 100% new in box.